October 15, 2016  The songwriter and Beach Boys co-founder reflects on his family, his mental health and his plans for the future — and names his favorite Brian Wilson song. August 18, 2016  Conjure up the sounds of the beach with some of the quintessential surf-rock band's best tracks. July 9, 2016  To celebrate the anniversary of his masterpiece, Brian Wilson is taking Pet Sounds on tour with a band of musicians who grew up on its songs and sounds. 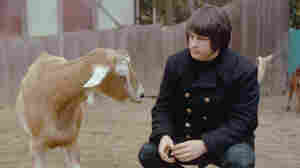 June 2, 2016  The Beach Boys' Pet Sounds is regarded as a seminal album now, but when it came out in 1966, not many noticed. Watch a mini-documentary by those who made the record. June 19, 2000  The Beach Boys classic, released in 1966, is the product of a revolutionary approach to songwriting. June 4, 2015  NPR's Melissa Block talks with Bill Pohlad, director of the film Love & Mercy, about creating an intimate portrait of Wilson — in both The Beach Boys' heyday and the troubled years that followed. June 4, 2015  It's not hard for the legendary musician and songwriter to pick his favorite Beach Boys song. December 20, 2004  Rock critic Ken Tucker gives us his top picks in pop for 2004. He runs down his 10 best albums, and then talks about some trends of 2004, such as the return of punk, the year of the hip-hop producer, crunk music, and the potential end of an era as iPods and single song downloads replace album purchases. Ken Tucker is also a film critic for New York magazine. April 13, 2004  In the late 1960s, Beach Boys legend Brian Wilson began work on an ambitious album called Smile. It was never released. Now Wilson is touring Europe, playing a 45-minute concert version of the music to high praise from critics. Hear "Surf's Up," a song originally recorded for Smile. 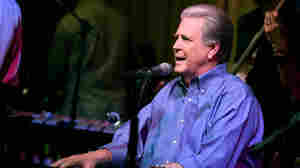 February 25, 2004  Bill Radke reviews former Beach Boy Brian Wilson's long-anticipated London performance of songs from his unreleased album Smile. August 27, 2002  Brian Wilson was most responsible for the Beach Boys' unique sound that fused harmonious rock with the ethos of surfing. 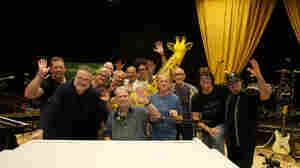 After the success of the Beach Boys, Wilson's had a much-publicized 20-year struggle with drugs and emotional problems. 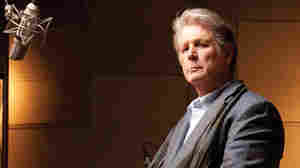 In 1988 he produced his first solo album, Brian Wilson. Ten years later he recorded another solo album of new material Imagination. August 23, 2005  In this two-hour live recording, The Beach Boys' Brian Wilson plays his most ambitious album, Smile, at Carnegie Hall. Released almost four decades after its creation, the album has been reconstructed and reworked from original tapes and new recordings. Listen to songs from Smile, Beach Boys favorites, and excerpts from recording sessions in this Creator's at Carnegie special. December 17, 2008  It's fair to say that this music, recorded live at the Warner Theatre in Washington, D.C., is the best new material from Brian Wilson in more than 30 years.That Lucky Old Sun is a song cycle based on a tune with its spiritual roots in slavery. 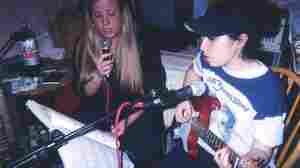 That song is about hardship, but this semi-autobiographical song cycle is about nostalgia. It's what life in California means to Wilson, and what Wilson means to California. 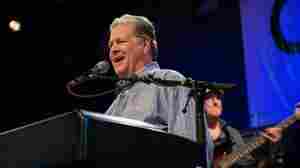 August 21, 2010  The former Beach Boy's new album is titled Brian Wilson Reimagines Gershwin. Here, Wilson talks about the iconic songwriter's influence, and describes what it means to him to tackle Gershwin's music. October 10, 2008  Four years after reviving and releasing his abandoned masterpiece, Smile, Wilson is back with a new album, That Lucky Old Sun. Between performances of songs from the new disc, the former Beach Boys singer shares what it was like to return to his old recording home at Capitol Records.